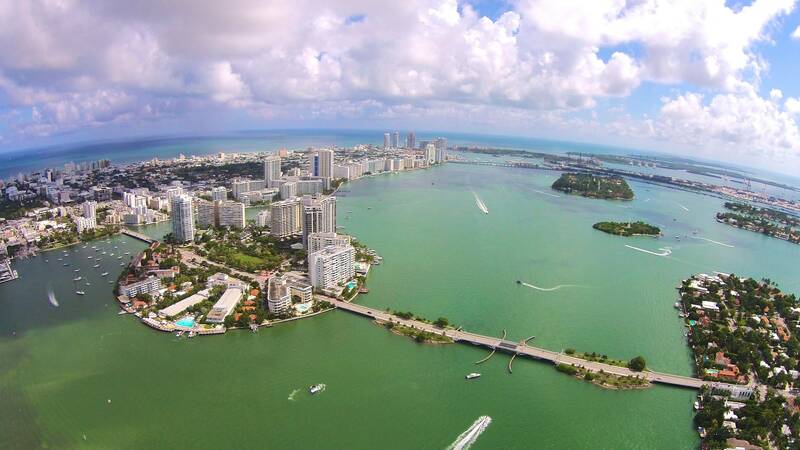 The Venetian Islands consists of a series of islands connected by a bridge called the Venetian Causeway, this bridge connects the Miami mainland to Miami Beach. 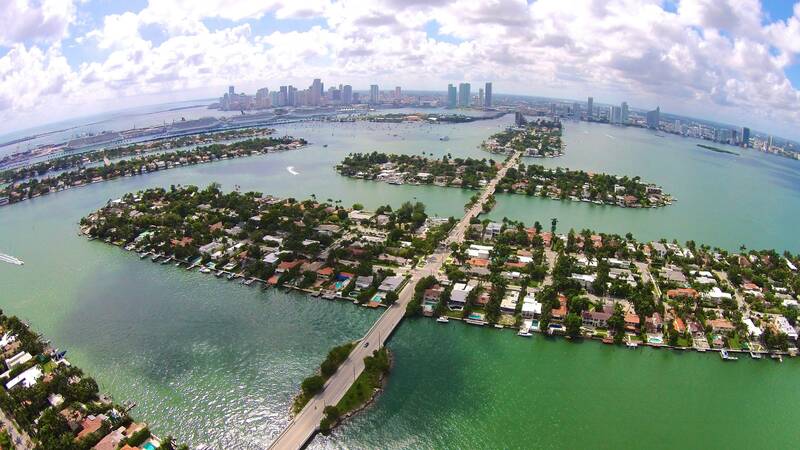 The Venetian Causeway bridge was originally called the Collins Bridge, at the time it was constructed in 1913, it was the longest wooden bridge in the world. 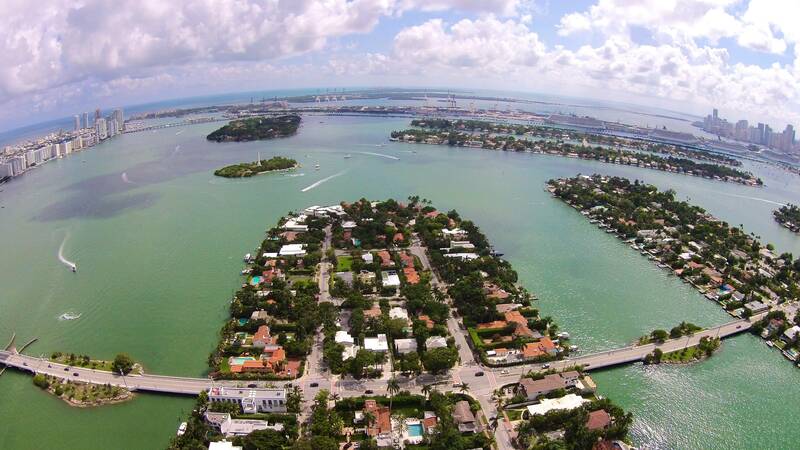 Spanning 2 ½ miles the wooden toll bridge, provided a critical connection to the newly established city of Miami Beach which was formerly only accessible by ferry. This wooden causeway was replaced in 1925 by arch drawbridges. Today this causeway has been proclaimed a historical landmark, and it provides pedestrians and bikers the ease to stroll to nearby shopping and dining destinations. 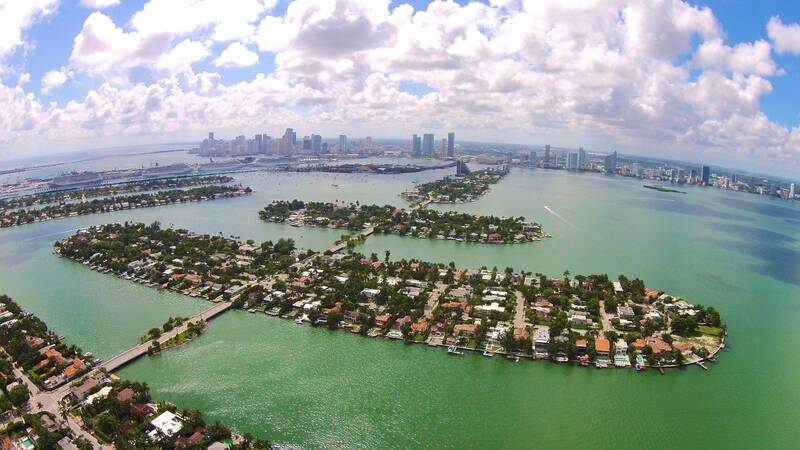 The Venetian Islands offer residents a suburb feel located close to Miami Beach, and popular destinations such as Sunset Harbour, and Lincoln Road and also to Downtown Miami, and the performing arts center, arena, museums etc. Belle Isle, the easternmost of the Venetian Islands is a short walk away from the popular Sunset Harbor neighborhood, filled a wide variety of restaurants, all types of gyms from Yoga, to Pilates, to Barry’s Boot Camp and more, great small locally owned shops, and major supermarkets like Publix and Fresh Market, this is also the area where you need to go find your car when it’s been towed! 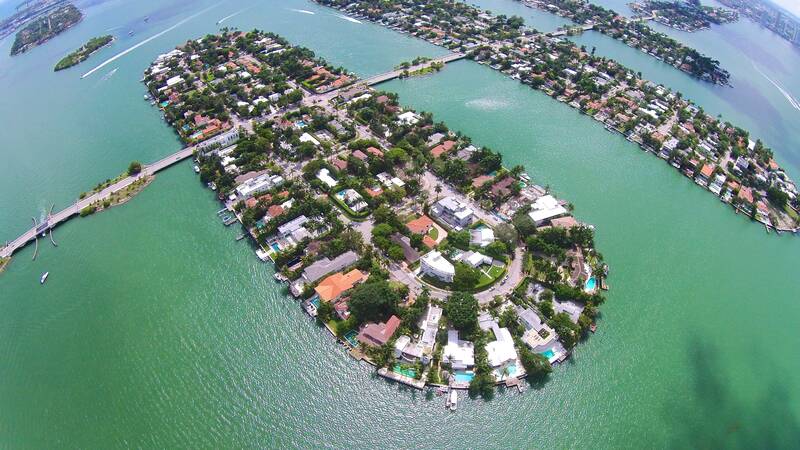 Belle Island is home to apartment buildings, most of which are condominiums and co-ops dating back to 1953. The buildings are all waterfront and on the south side of the Island they surround Belle Isle Park, which was recently renovated to include lighting, sidewalks, picnic areas, landscaping and a dog parks. A few of these buildings were designed by Morris Lapidus they have been well preserved in their mid-century style. There are a few 1970’s, 80’s and the youngest one was built in 2001. Belle Island is also home to the Standard Hotel, with its fabulous waterfront restaurant and spa. 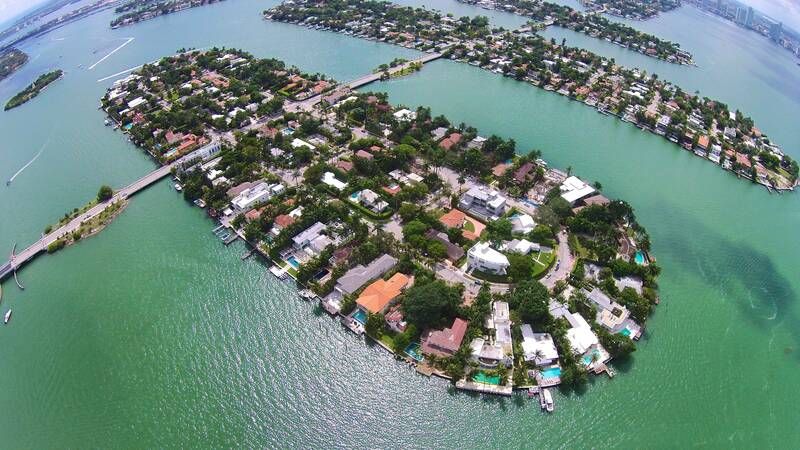 There is also a short street Farrey Lane containing single family waterfront, and non-waterfront homes. Belle Island has an active Residents Association, established in 2004. They meet approximately 6 times per year. Their mission is to “enhance the quality of life for the residents of Belle Isle” they focus on “security traffic control, ease of parking, noise control, park beautification, cleanliness, open spaces, planning, development, licensing, permitting, and all issues that may affect the residents and their quality of life on Belle Isle. The Residents Association pride themselves on keeping the Belle Isle residents informed on issues affecting the neighborhood. 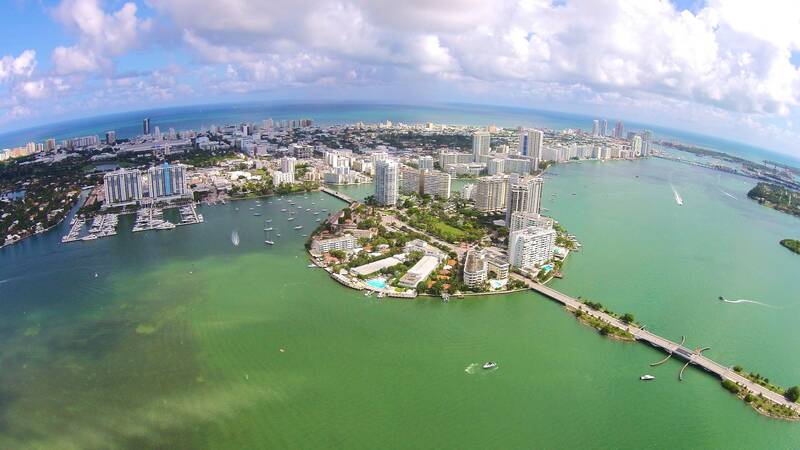 The other 3 Venetian Islands that are based in the City of Miami Beach are Rivo Alto Island, Di Lido Island, and San Marino Island. 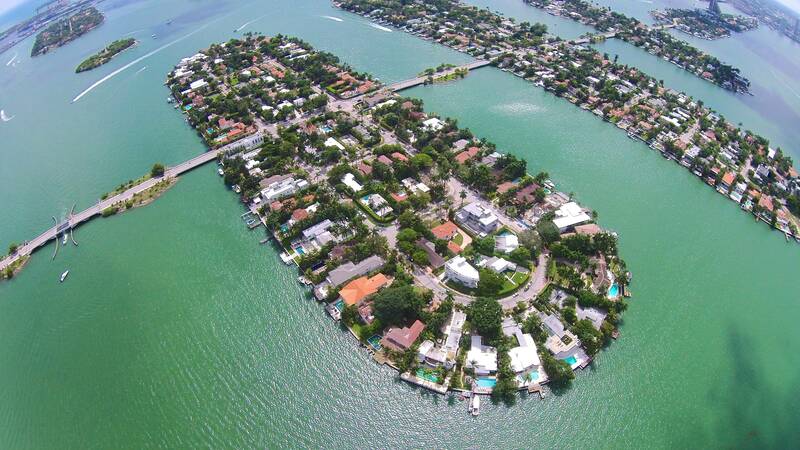 I describe them as oval-egg shaped islands dividing the south and north side of the Islands by the Venetian Causeway. 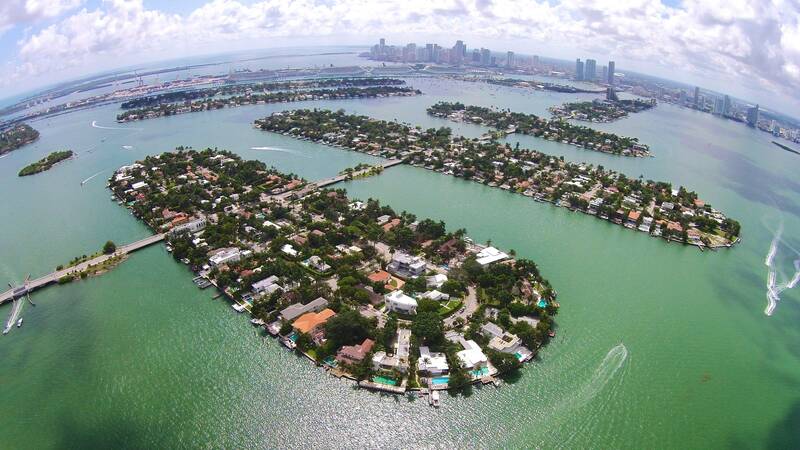 These Venetian Islands contain single family waterfront and non-waterfront homes. 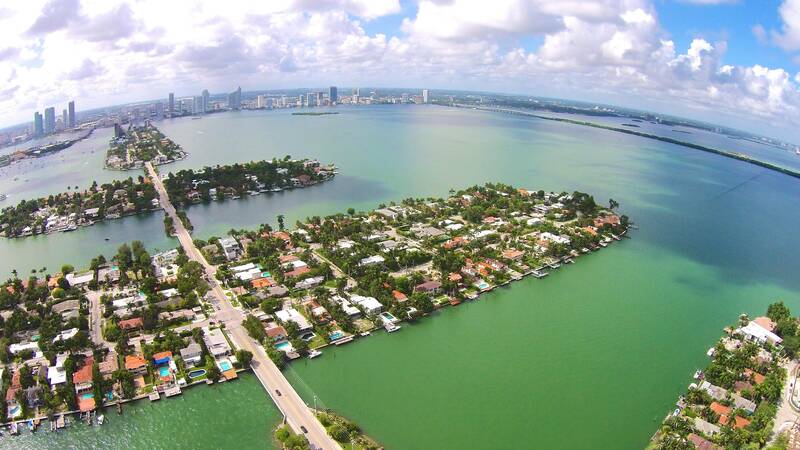 The standard Venetian Island waterfront lot has 10,500 s/f (60 feet of waterfront by 175 feet deep), some waterfront properties especially the tip lots are pie shape and have wider waterfrontage, and of course there are some multiple lot properties. The non-waterfront lot sizes for the most part average 7,500 s/f although there are some lots that are a bit smaller, and some larger. 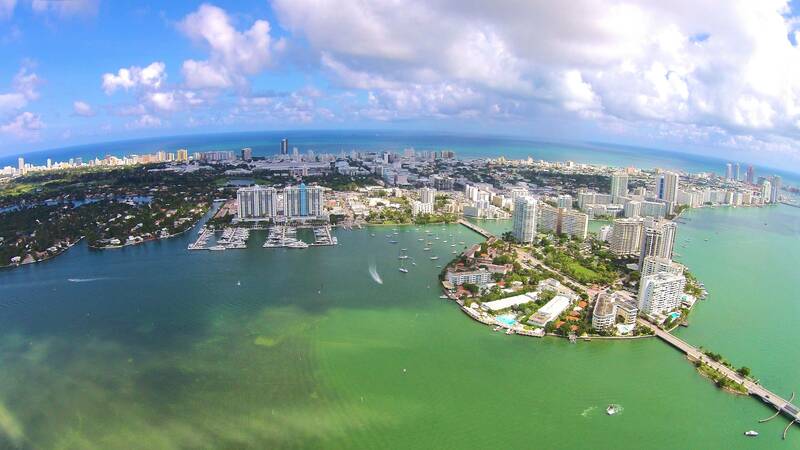 San Marco Island is the 2nd westernmost of the Venetian Islands, it is located in the City of Miami Florida. 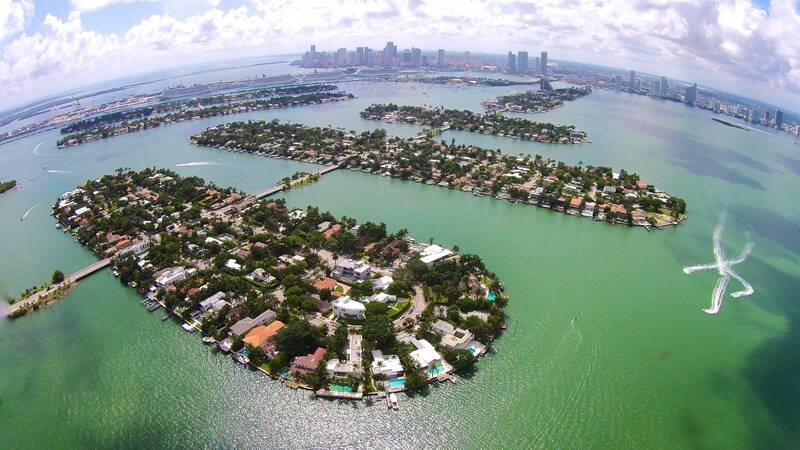 The island contains single family waterfront and non-waterfront residences. 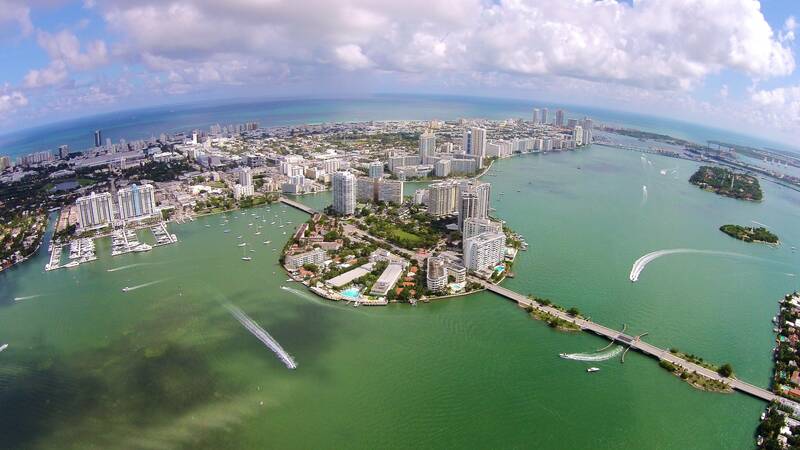 Biscayne Island is the westernmost Venetian Island, located in the City of Miami, Florida. 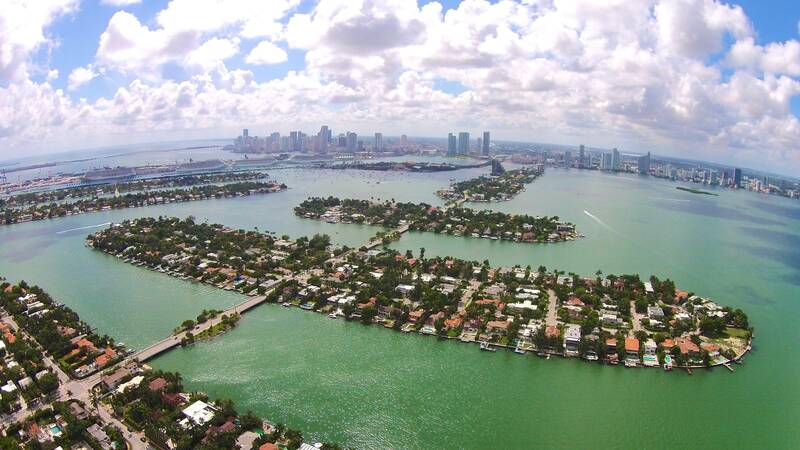 The Island contains homes and apartment buildings, most of the buildings are condominiums or co-ops. There is a toll plaza and a waterfront park on the south side. 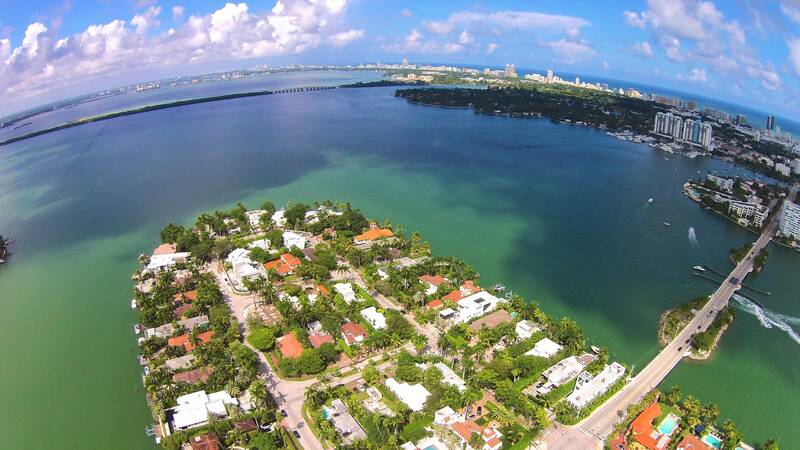 On New Year’s Day 1920 the first automobiles rolled over this new causeway to Miami Beach. 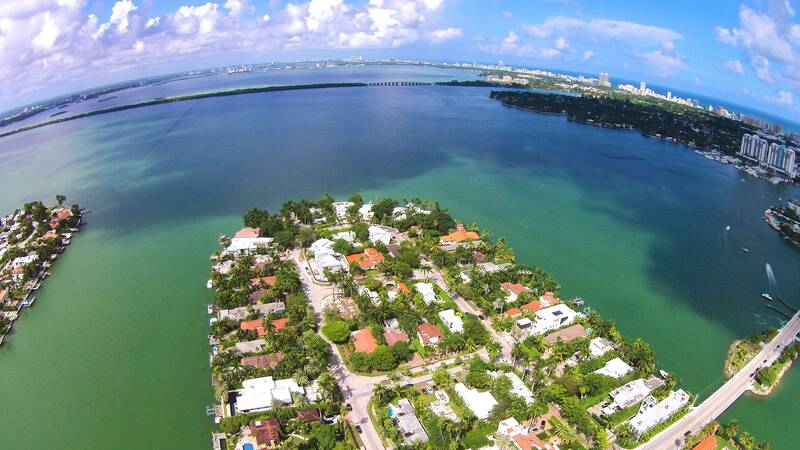 During the 1930’s Biscayne Island, was used as an airport it was called Viking Airport with a hangar it had a 2,600 sod runway and a seaplane ramp. 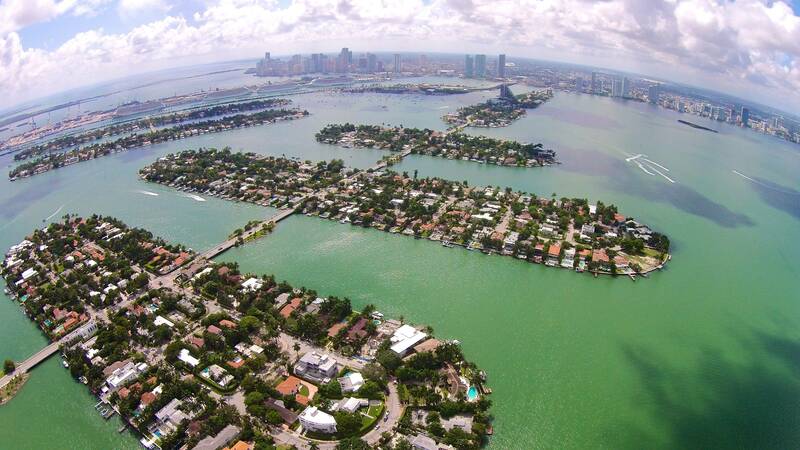 The airport closed in 1937 The Venetian Causeway was renamed in 1920 when the original wooden causeway called the Collins Bridge was replaced by the more substantial Venetian Causeway. The original wooden bridge was built by John Collins, at the time it was constructed in 1913 it was the longest wooden bridge in the world. 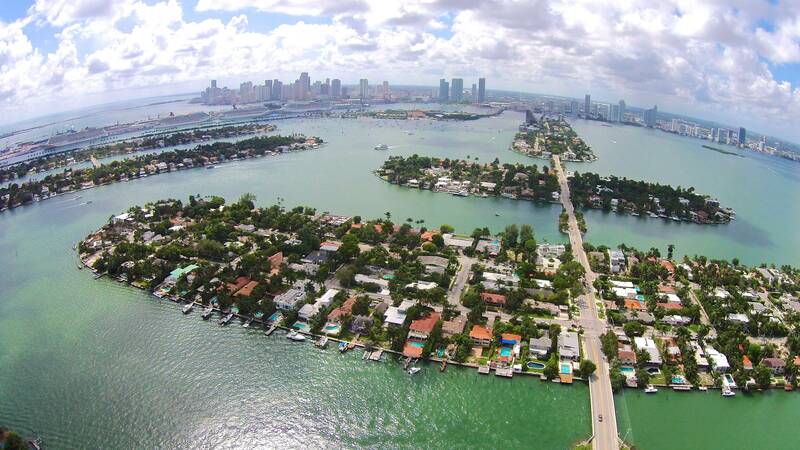 In 1989 the Venetian Causeway was designated Historical and listed in the National Register of Historic Places. The preservationist fought a hard battle to preserve the bridge which at the time needed a lot of restoration and which the County and City were planning to totally replace. 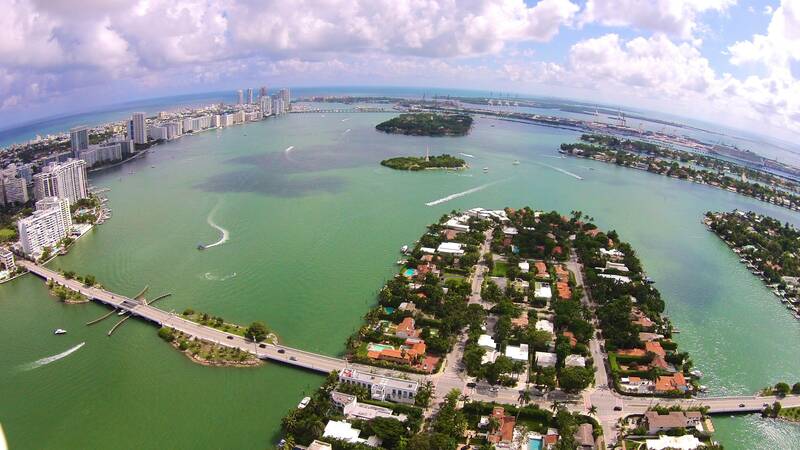 The Venetian Island bridge’s beautiful guardrail design of square central units with radiating diagonals forming an “X” pattern offering a view corridor to the bay was restored and hopefully forever protected as an integral part of Miami Beach’s Historical legacy.